Here we are again, that special day where we get to discuss all that is new and heavy in the world of metal. This month however, we wanted to do things a little differently, and do a sort of introduction and focus piece on one of metal’s most lauded and least discussed categories: post-metal. We know, it sounds a little douche-y, it’s the unfortunate side-effect of prefixing any term with “post-” but this monolithic genre reared its (Hydra) head way back in the mid-90s when post-rock was well-seated in people’s consciousness. Godspeed You! Black Emperor, Sunn O))) and Mogwai were expanding the minds of rock fans everywhere, and still are to this day in fact, along with a newer host of cohorts. One of the founding bands of post-metal, Isis, whose guitarist/vocalist Aaron Turner also owned the label Hydra Head Records (responsible for putting out records from Agoraphobic Nosebleed, Boris, Jesu, Kayo Dot and Torche to name but a few), termed the sound his own band were going for as “thinking man’s metal”. So what is it exactly and what does it mean to be post-metal? Literally it implies a movement that comes after metal, and we believe it reflected a shift, not just sonically, but also in the attitudes of those who helped create the music. Artists at the time of its inception felt that metal had become a little stagnant, and when post-rock came along with its lack of conventional song-structures, use of drones and ambience, and a wider use of instrumentation, they saw an opportunity. Post-metal essentially combined those elements along with a good dose of heaviness and the harshness associated with metal, to create music that was as introspective as it was expansive in scope. Thunderous lows and deep distortion would slip into dreamy cleans and soaring highs within the space of single songs. Some of which lasted between fifteen to twenty minutes by the way, not that you’d really be paying attention to track lengths because your head was in a perplexing haze of beauty and brutality. Critics of post-metal were quick to argue that these bands had far too much going on musically to loosely affix it with what they considered to be an oversimplified label, such as we have done here previously at Getintothis. They expounded that bands were writing music using elements similarly found in drone, ambience, shoegaze, and black-metal, among countless others, and that post-metal was a redundant category; but, conversely, we like to think of post-metal as something of a vessel, in both senses of the word. Post-metal effortlessly contains within itself the capacity to incorporate components of all of these sounds, sometimes within one singular album if you consider the French artist Stéphane Paut a.k.a. Neige’s most successful band Alcest. Post-metal takes the listener on a journey through these different elements, whether it’s lingering a little off the shores of ambience, bobbing across the glassy atolls of shoegaze, or occasionally climbing the frost-bitten peaks of black-metal, post-metal will have you traversing the various soundscapes it has created for itself, as the waves of distortion rattle against the bough, shaking you to the very core. Fast-forward from its lurch onto the scene in the mid-90s with bands like the aforementioned pioneers Isis, the powerful Cult of Luna, and sludgy giants Neurosis, among others such as Pelican, Jesu and Russian Circles, we still find ourselves in uniquely familiar territory. In fact out this month we have albums from a variety of established bands in the post-metal ranks. Alcest, as we discussed earlier, brought out their new album Kodama on Prophecy Productions at the beginning of the month and it is a dreamy exploration of Neige’s personal interest in Japanese culture and,in particular, his love for the Studio Ghibli animated film Princess Mononoke. From even just a cursory listen to the album we can hear the interplay between the modern world and the love of tradition that the film also deals with. Alcest’s return to a more “black-gaze” sound works well here, as it puts a more aggressive foot forward which serves to accentuate the despair and contrast with the gentler moments found in abundance throughout. The standout track here Oiseaux de Proie, begins with a rolling bass rhythm, insistent guitar sound, and very open, airy drums reminiscent of crashing waves, highlighting the music’s focus on nature. Neige’s clean vocals work well here, and add a note of empathy to the chaos. The track builds to a crescendo with his shrieks strident atop the powerful undulating drums and scraping guitar riffs. Much like the track’s titular figure, this song soars the skies, preying on those below with a powerful vision. Up next with their newest album Becoming (The Mylene Sheath, October 14, 2016) is Mustard Gas and Roses, another familiar name on the scene. The band, an ambient instrumental project by Isis guitarist Mike Gallagher, has released two LPs and a film soundtrack thus far making Becoming their third LP, and it is certainly the most coherent work they have done to date, and possibly the most aggressive. The album is heavily influenced by Gallagher’s almost-obsession with Kurt Vonnegut and his work Slaughterhouse Five, with the band’s name itself taking cue from a line repeated by the novel’s protagonist throughout the work. The track we’ve chosen here serves as the album’s closer but we feel works well as a standalone summation of the band’s sound. We begin with a gentle strumming, with light percussion and almost nostalgic slide-guitar, creating a sense of lackadaisical despair with the state of the world today, perhaps evoking a post-war scene, much like the band’s name itself. The strumming falls away to a slow build, as is a common feature in post-metal, which adds layers of instrumentation, in this case distorted guitars and open, cymbal-heavy drumming. The peaks in this track are triumphant, and the lows are superb with Gallagher’s signature low-tuned guitar making its way in towards the final quarter. We move into much darker and more dissonant lands now with the ninth album from Japanese giants MONO, Requiem For Hell (Pelagic Records, October 14, 2016). The album sees the band reunited with friend and collaborator Steve Albini whose presence in the post-rock and metal scene from its inception is unparalleled. Often dealing with opposing concepts such as love and loss, and life and death, MONO are not strangers to dichotomy so it’s no surprise that the title track itself is divided into two halves; one considered the lighter edit which is the first ten minutes of the song, and the video for the track found below is the latter seven minutes of the seventeen minute epic. Hailed as the bands scariest and heaviest output in recent years, Requiem for Hell is not a track or album to be taken lightly, and it’s certainly one that creeps up on you. The layers are almost imperceptible to begin with, but as the pressure increases upon the listener you can almost feel yourself being dragged down into the very pits of despair. 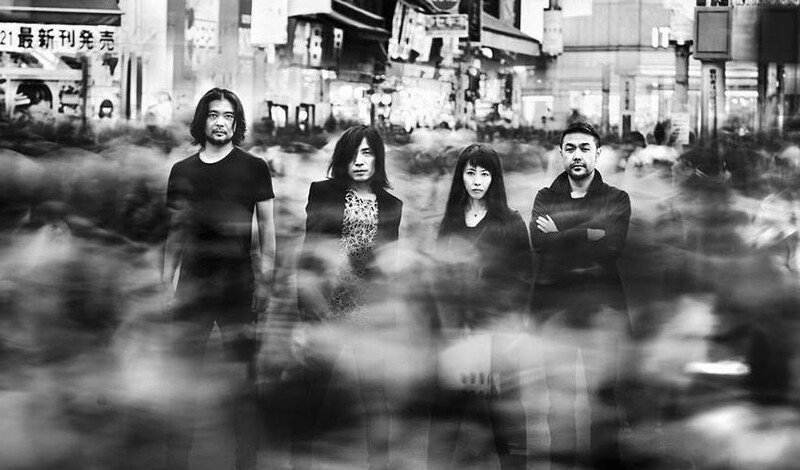 The band’s usual minimalist approach is less on display here, in favour of a more bombastic and jarring sound and, if you don’t mind the darkness, you won’t find a worthier companion than MONO. Bringing in the heavy with the release of their self-titled debut album we have Italian post-metal maestros NAAT (Argonauta Records, October 3, 2016), and the genre’s arsenal is on full display with these guys. Crushing yet emotive bass-ridden riffs, build-ups to thunderous crescendos and bouts of creepy ambience riddled throughout, you certainly couldn’t tell that this was their first release. The track we chose here, Vostok, is the album’s opener, and gives the listener a good solid slice of what is to come with the rest of the album, without giving too much away either. Sneaking in towards the end of our list with their 3rd album Draugr (October 28, 2016 via Rare Noise Records) are those cheeky international chaps from Obake, which is term used to signify a creature returned from the dead. Dredging up an eclectic mix of ominous riffs, oppressive atmospheres of Lovecraft-ian proportions and an almost unhealthy amount of groove, these are not your typical fare. As we mentioned before however, post-metal is a vessel, and these guys take you places you definitely weren’t expecting to go. The track below, Appeasing the Apparition opens with almightily sludgy, synth-like riff and vocoded vocals, giving way to the mother of all grooves, and is only a taster of what’s in store for you.